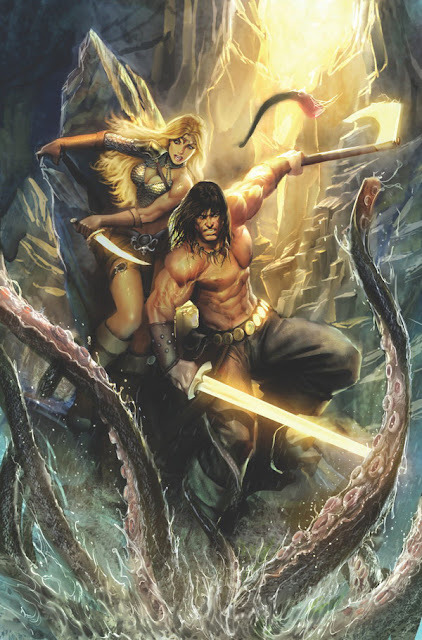 Dark Horse comics have shot out their July Solicitations for all to see, with more Jedi's, more Hellboy and more Conan. I mean when put like that how can you look away? The cover of the month from their July listings? This one right here from Mark Roberts, for the cover of Conan: The Island of No Return #2. For the full list of Dark Horse books and goodies in July, click the jump.